When planning a trip, one usually takes into consideration the weather at their chosen destination in order to make good choices for activities as well as when to travel. Chile is a thin sliver of a country running from north to south. It extends around 4,500 Km (2,750 miles) and as such has a varied climate from desert and arid to oceanic with cool summers. The climate in Chile is also regulated by the Humboldt Current. This is a cold ocean current that flows northwards along the Chilean coast from Antarctica. This means that the sea is cold for bathing. Below, please find a guide from north to south. When to go: This is an all year round destination however do take into consideration the possibility of cloudy skies or even rain during the Altiplanic winter. The clear skies mean that the conditions are excellent for stargazing. It is important if you wish to see the stars to check out the lunar conditions. Less moonlight means better conditions in which to view the sky. Climate: This is the most arid part of the country. Along the coast there is a tendency for coastal mists (Camanchaca) but little rain. Inland is the Atacama Desert which is one of the most arid in the world. The temperature drop once the sun sets will be noticeable. Inland, the norm all year round is clear skies. UV light is very strong all year round so it is important to have a high protection factor sunscreen and appropriate clothing. Altiplanic winter: Between December and March there is the possibility of overcast skies and possibly rain due to a phenomenon known as the Altiplanic (or Andean/Bolivian) winter. When to go: The best months to travel are from September through to April. The ski season in general will be from mid June to the end of August. Climate: The climate for central Chile is temperate Mediterranean with well differentiated seasons. Winters are cool, cloudy and wet. Spring in general has good weather with rising temperatures whilst summers tend to be hot, dry and sunny and autumn good weather with possible rain. As you head south the greater the chances of rain. As you head inland, the temperature range will increase with minimum temperatures getting lower and maximum temperatures higher. In summer on the coast there will be a greater chance of clouds and rain, particularly in the mornings. Climate: The climate for southern Chile is a temperate oceanic climate with all year round rainfall. The rainiest season is from April to September when rains can be quite intense. Popular destinations: Aysen, Torres del Paine, Puerto Natales, Punta Arenas. An important factor to consider is the daylight hours which in summer can be up to 17 hours whilst in winter can go down to as few as 8 hours. Climate: The climate for Austral region of Chile is cool Oceanic. This means there can be rainfall all year round and temperatures in general will be low. In winter there are chances of snow. 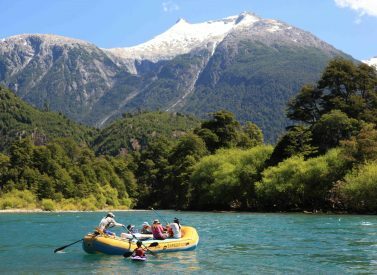 In Northern Patagonia (Aysen region) there is abundant rainfall all year round. The weather conditions are determined by several factors such as the mountains, the winds from Antarctica, ocean currents and the nearby Southern Patagonian ice field which means that it is unpredictable. The summer months are prone to very strong winds and daily conditions can be very variable. When to go: Easter Island is an all year destination but the best time to go is in the summer months. Climate: The climate for Easter Island is subtropical. Summers are warm and humid and winters mild. Rainfall is abundant all year round although can be heavier in April and May. There are sometimes periods of bad weather in winter with heavy rain. Winter is less sunny than summer.